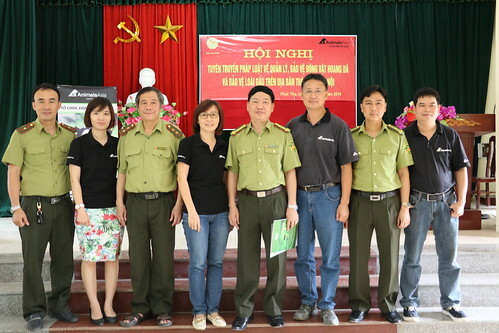 Animals Asia met with a Vietnamese town’s bear bile farmers and outlined what bears need to be fit, healthy and happy - the “bear necessities” they don’t receive on bile farms. The event was part of a major grassroots campaign by Animals Asia in Phuong Thuong Commune, an hour from central Hanoi. Despite being a relatively small town, Phuong Thuong is believed to account for almost 20% of all remaining bears caged by the bear bile industry in Vietnam. The farmers continue to utilise loopholes in order to extract and sell bear bile. 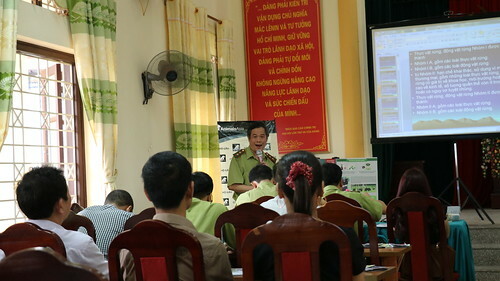 The majority of the 35 remaining bile farmers attended the event. 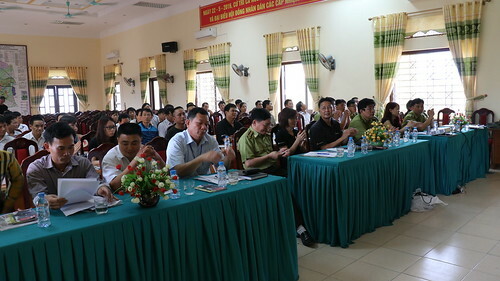 Animals Asia partnered with the Head of Hanoi’s Forestry Protection Department, Le Minh Tuyen, to raise awareness of the law and the illegality of their trade at the event at the local People’s Committee Hall. But it was Animals Asia’s Vietnam Director Tuan Bendixsen’s 15-minute presentation on how Animals Asia rescues and takes care of bears that caused the greatest stir. 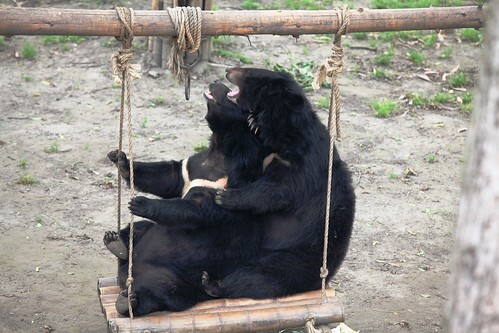 In particular the profiling of the “enrichment” enjoyed by the bears cared for at Animals Asia's sanctuary. This includes the various daily items that effectively make bears’ lives worth living - from leaves and branches for playing and nesting, to daily treats, toys and an ever-changing diet. Caged farm bears (pictured below) meanwhile often have no room to move, eat the same meal everyday and frequently don’t even have water to drink despite temperatures reaching as high as 40 degrees Celsius. “Whatever animal exploitation you can think of, there will always be those who choose to defend it. It’s not so much about a lack of conscience as a lack of voice to counter everything they have been told by other farmers - as well as everything they perhaps have told themselves. “The truth is, of course, bears suffer terribly on bile farms. Extraction does horrific damage. The limited space physically and mentally damages the bears. This lack of ‘enrichment’ profoundly damages their mental wellbeing as a result of being beyond bored. This is before we even start talking about all the vet care they need. “There was visible shock and incredulity when we contrasted what we give the bears and what bile farmers denied them. It was clear that, in many cases, the needs of the bears had never even been considered. Last year Animals Asia rescued 33 bears from nearby Quang Ninh - ending bear bile farming throughout the province. 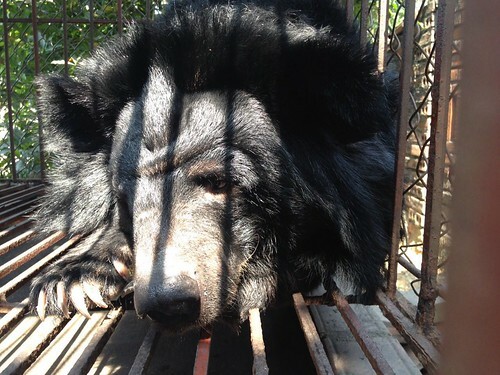 Despite the illegality of the bear bile trade there continues to be around 1,200 bears caged on bile farms in Vietnam. In China and Vietnam, Animals Asia has rescued almost 600 bears from the bile trade and continues to care for around 150 at its Vietnam sanctuary.